Continuing with our commitment with our Peruvian partner DNT, we are proud to announce our second security week in Peru. 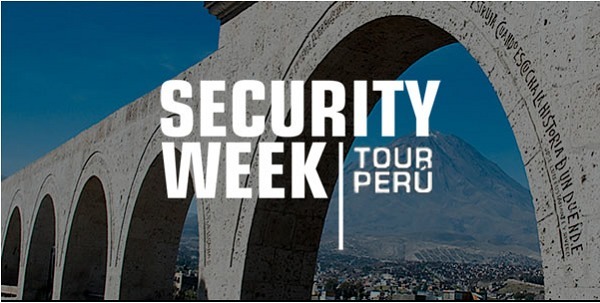 The Security Week is a full week roadshow with seminars, local visits and demonstrations. We will very glad to visit our friends and clients in the city of Lima between the 19 and the 23rd of November 2018. The main event will be on Wednesday 21st at the hotel & convention Centre LOS DELFINES in Lima, Calle Los Eucaliptos 555, San Isidro 15073, Perù. We will be presenting our latest solutions with cutting edge technologies, so we can say proudly: “We have extreme security solutions for your perimeter protection”. For more information please send an email to the organizers at marketing1@dnt.com.pe or to Ing. Omar Suárez, Sales Representative Latam CIAS, at suarez.omar@cias.it.